It can be difficult to navigate the many different brands and styles of wheelchair available. The Steps wheelchair and seating service has been set up to assist with narrowing down the right equipment for you, and to help you access funding. Your Steps Therapist can help you identify, trial and select the right equipment to meet your goals for your mobility, function, posture and comfort. Your Steps Therapist will then help identify what funding you are eligible for, and assist with completing the relevant forms. 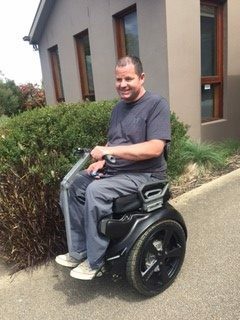 We are able to assist you no matter what your reason is for needing a wheelchair, and can help with manual wheelchairs, powered wheelchairs, power assist devices, cushions, back supports and seating systems. 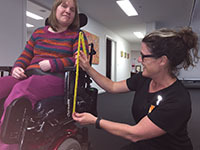 Wheelchair and seating services are offered from the Hughesdale clinic. Home and community visits are possible, with travel charged from our Hughesdale site. If your current wheelchair is not meeting your needs, you may simply need some modifications to your existing chair rather than replacing it with a brand new one. 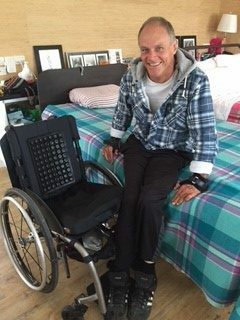 Your Steps Therapist will be able to help you decide if this is the most time and cost effective option for you to improve your comfort, mobility, posture and function; and if so, will assist with trials, funding requests and equipment reviews to ensure you are satisfied with the outcome. 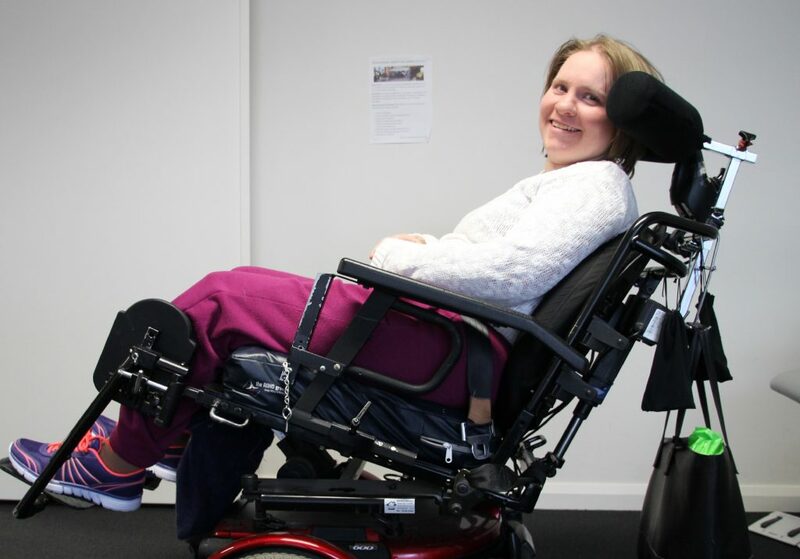 A wheelchair can’t be prescribed without consideration to your posture and skin protection. All wheelchair and seating clients will undergo a posture and pressure assessment. The outcome of this assessment helps indicate which equipment will best suit your needs. Our Steps Wheelchair and Seating Therapist, Elizabeth Clements, also has extensive experience in pressure ulcer management. Best practice, evidence based guidelines will be provided for any current or past skin breakdown, and this will be taken into consideration for any equipment recommended. We will assess you at our well-equipped Hughesdale rooms or at home/ work depending on your needs.